Young Sonic fans in East Oakland, California are in for a treat come November 1st, but not just because Sonic Generations will hit stores, but because SEGA of America will also open a Sonic the Hedgehog themed playground that very day to further celebrate their mascot’s 20th Anniversary. SEGA is teaming up with local “neighbohood hub” Youth UpRising and outdoor play non-profit group KaBOOM to create the playground. Children will also be able to help out with the design process. The actual construction of the playground will take place on October 28th by SEGA volunteers and members of East Oakland community, and will be completed in just one day. Pretty quick, huh? In celebration of Sonic the Hedgehog’s 20th Anniversary, SEGA® of America, Inc. has partnered with KaBOOM! and Youth UpRising to bring the spirit of Sonic the Hedgehog and the joy of play to the community of East Oakland by designing and building a custom playground inspired by the iconic blue hedgehog. On October 28th, volunteers from SEGA of America and members of the local community will construct the new playground in just one day. The playground will be designed by the very kids who will be enjoying it, making this new play space very special for the entire community. The space will provide more than 400 children in the East Oakland community with a safe place to play, creating an inspirational and fun location for all to enjoy for years to come. To cap off Sonic’s 20th Anniversary, SEGA’s highly anticipated new title, Sonic Generations™, will be released this Winter. The game features Sonic the Hedgehog, as both the much loved classic 1991 character and the modern-day video game hero he has become. In this exciting fast-paced adventure set across three defining eras of Sonic the Hedgehog, Sonic speeds through all new stages inspired by the most iconic environments from his 20 year history; playing as Classic Sonic and Modern Sonic in all new, re-imagined stunning levels. Sonic Generations will be available on November 1, 2011 for the PlayStation®3 computer entertainment system and the Xbox 360® video game and entertainment system from Microsoft, and this winter for the Nintendo 3DS™. 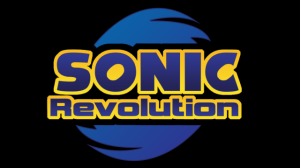 SEGA’s Sonic the Hedgehog playground will open for play the day of the Sonic Generations™ American launch date, Tuesday, November 1st . at Youth UpRising, located at 8711 MacArthur Blvd, Oakland, CA 94605. For more information about SEGA or Sonic Generations, please visit www.sega.com. For more news, follow SEGA on Twitter @SEGA or like us on Facebook www.facebook.com/sega. About KaBOOM! : KaBOOM! is the national non-profit dedicated to saving play. Children today spend less time playing outdoors than any previous generation, a fact that is having disastrous consequences on their health, achievement levels, and overall well-being. To fight this Play Deficit, social entrepreneur Darell Hammond founded non-profit KaBOOM! in 1996 in Washington, D.C. with a vision of creating a great place to play within walking distance of every child in America. Since then, KaBOOM! has mapped over 85,000 places to play, built more than 2,000 playgrounds, and successfully advocated for play policies in hundreds of cities across the country. KaBOOM! also provides communities with online tools to self-organize and take action to support play on both a local and national level. We’ll have more information as it’s revealed.